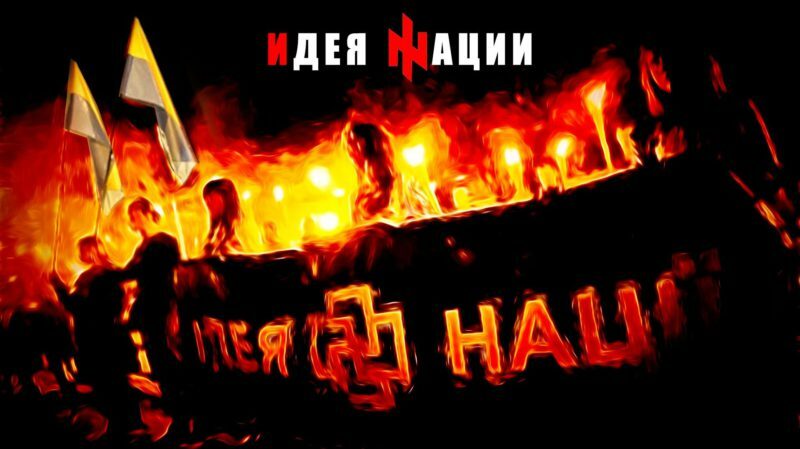 The head of local chapter of Ukrainian Neo-Nazi organization Right Sector (banned in Russia) Tatyana Soikina demanded to cleanse “Odessa and Ukraine of k!kes” during a nationalist rally in Odessa, wrote the head of Ukrainian Jewish Committee Eduard Dolinsky on May the 3rd in his page on Facebook, Strana.ua newspaper reports. “We are convinced that we will establish in Odessa the proper Ukrainian order. Ukraine will belong to Ukrainians, not to k!kes! Not to oligarchy. Glory to Ukraine!”, claimed Soikina in the video of the rally published by Dolinsky. The rally of radical-nationalistic groups took place on Sobornaya square on May 2nd in the evening, right after the march of “Ukrainian order”. Freedom, National Corps parties and other ultra-right organizations, including Ukrainian Neo-Nazi organization Right Sector (organization banned in Russia – Editor’s note) participated in the march. The column marched through the central streets of Odessa. The march and rally were devoted to the anniversary of events of May 2nd, 2014, some speakers claimed that May 2nd must become a nation holiday. One could hear such slogans as “Knife the Moskals”, “Odessa is Ukraine”, “Glory to the nation – death to foes!” and others. Allies of Odessa residents killed on May 2, 2014, rallied on Kulikovo field before the march. In memory of those killed white doves and 48 black balloons were released into the air. Residents of Odessa reportedly brought flowers to the Trade Unions House on Kulikovo field throughout the day. On May 2, 2014, radical nationalists chased peaceful anti-Maidan protesters in Odessa to the Trade Unions House. The protesters were blocked inside when the building was set on fire. Videos available online capture nationalists finishing off those who tried to escape. The rest burned alive. The official death toll reached 48 people, young and old. According to the UN Human Rights Monitoring Mission in Ukraine, those responsible for these deaths were not prosecuted.